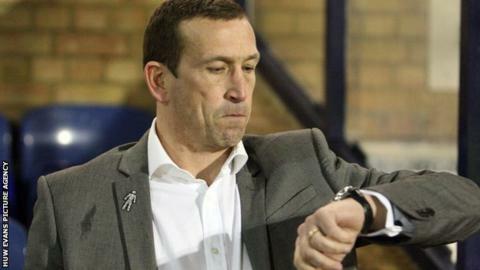 Manager Justin Edinburgh says mistakes over player contracts at Newport County influenced his team selection. Players had clauses which triggered a new deal after a set number of games. Captain David Pipe and midfielder Michael Flynn waived clauses in their contracts in February. "The clauses worked very well for us last season because it meant we were able to keep the squad together but it has been a bit of a hindrance this season," said Edinburgh. "As a manager I'm learning all the time and I think it's something that we'll phase out and we won't be offering again." Edinburgh confirmed the pair would not be given new deals in February and Pipe left the club on Thursday. Flynn is still at the club and hopes to convince to Edinburgh to offer him a new deal for the new campaign. It is understood both players were five games away from triggering an automatic contract extension but agreed to waive the clause to allow them to see out the season. Former Wales defender Pipe, 30, joined Newport in September 2011 and captained last season's promotion winning side. The pair were in the side which beat Wrexham in last season's Conference play-off final at Wembley which secured Newport's return to the Football League following a 25-year absence.